Discussion in 'Digital Darkroom' started by photoriot, Mar 26, 2017. 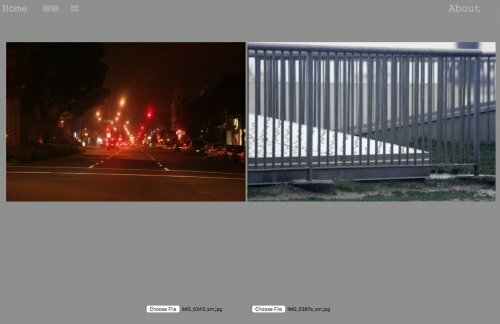 So far I haven't heard of an easy way to scale photos to form lined-up diptychs, and seeing an effort where one photo was distorted, I made a free version of my diptych web page that lets you load your own pics into the browser. 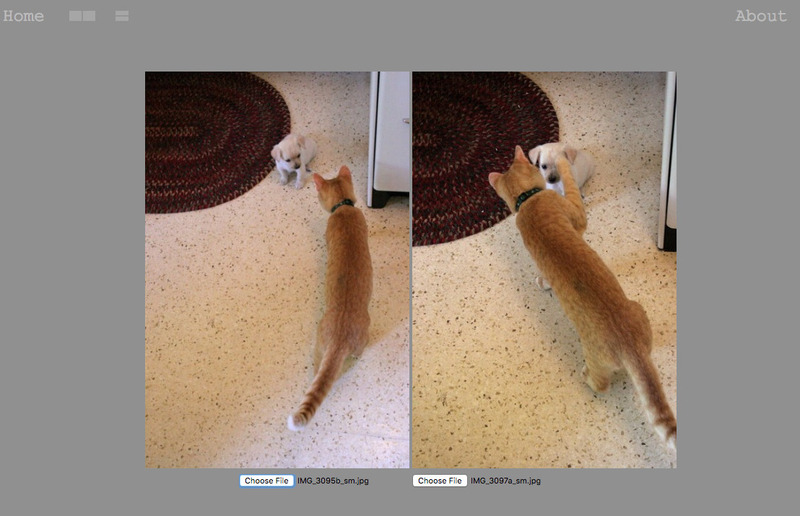 Once you have gone past the initial files, you can also toggle each photo with the previous one by clicking next to it. Once the page is loaded, it works standalone, tho Home and About link back to my site. The boxy icons change between side-by-side and stacked tilings. Before I wrote the diptych formatter, I was pasting pics side-by-side in email and screenshotting the part that lined up. It might be useful if people add other methods that work here, using different programs. 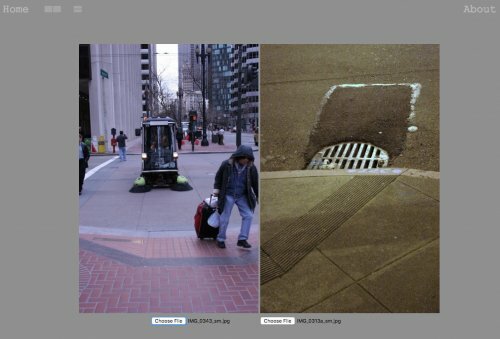 I've used PhotoShop and maybe a dozen other image editors, and never had a problem re-scaling pictures with any of them. Maybe I'm missing something, but all that's required is to make two pictures the same height or width, right? If so, you just open the "scale image" tool, lock the pixel dimensions and type in the height or width you need. 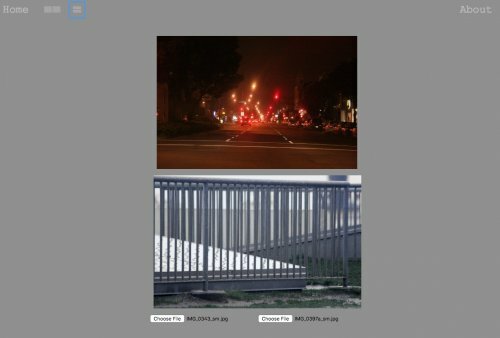 If you don't click on the chain-link icon to lock the format ratio, then the image will be distorted. This is common to PS, Paintshop Pro, the free GIMP and many other image editors. 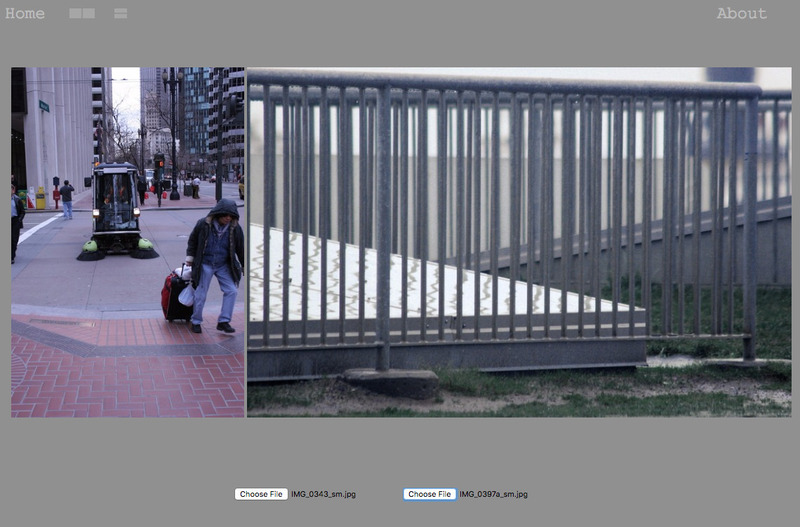 There's also the free Irfanview, that while not a full-blown image editor, is more than capable of resizing an image. 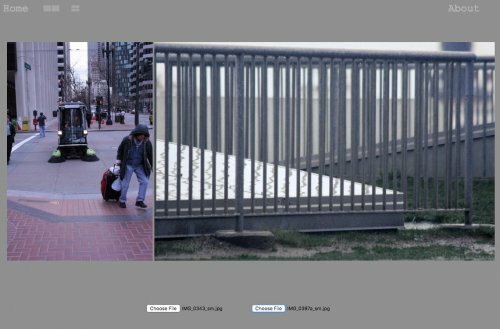 If the issue is cropping two images to the same format ratio, then that can be done manually by watching the x, y pixel count as you drag the framing box around. The image editor approach seems a bit harder than Open 1, Open 2, done. I.e. having them auto-scaled to fit the screen, without cropping or looking at dimensions. 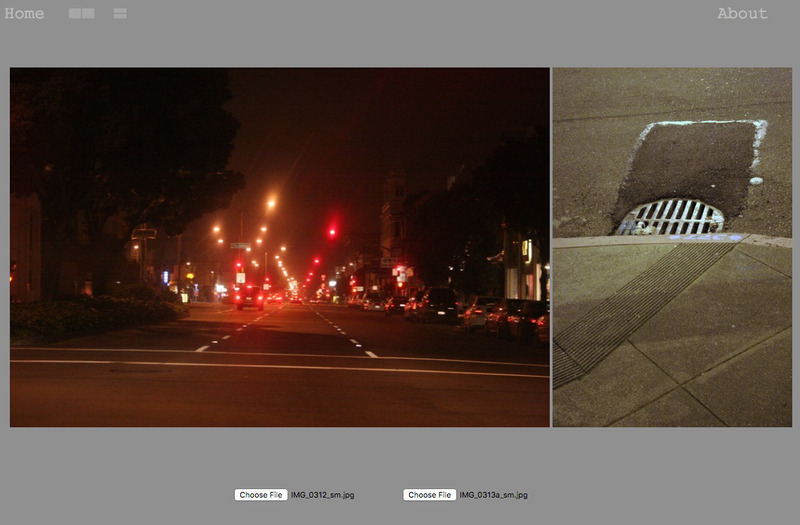 Also, you can click next to a pic to toggle it with the previous pic and the pics rescale. Thanks for indicating the alternatives too. Here's a series of loads and toggles that took me 4 minutes to do, which I would have easily spent putting one pair together. I forgot to mention retiling.. I added load-from-web buttons per a suggestion in another forum. Not many sites will let you cross-load your images, but imgur will at least. Not posting an example so as to keep it to my own photos. At least that's what I thought - pic seems to keep coming back. There. I added an 'S' option to screenshot the pair to a file you name in Downloads. It works on Chrome and FireFox; Safari doesn't work for no obvious reason.